Home » Flavours Blog » Pilates Holiday – Feel great by the end of the week! Pilates Holiday – Feel great by the end of the week! Today,we speak to Flavours’ Pilates guest, Catherine, to hear her thoughts on her Pilates holiday to Tuscany and her advice for those considering solo traveller holidays for the first time! Catherine, you have been on a Pilates holiday with us. How did you enjoy it? 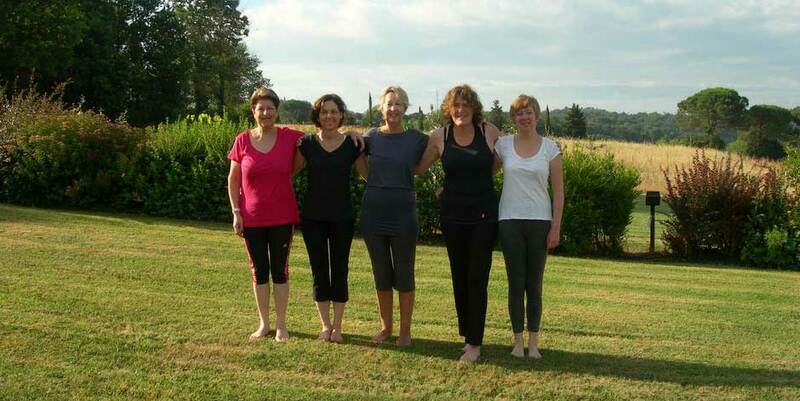 I loved the first Pilates holiday I did with Flavours – in fact I enjoyed it so much I went back again. What’s not to like?! 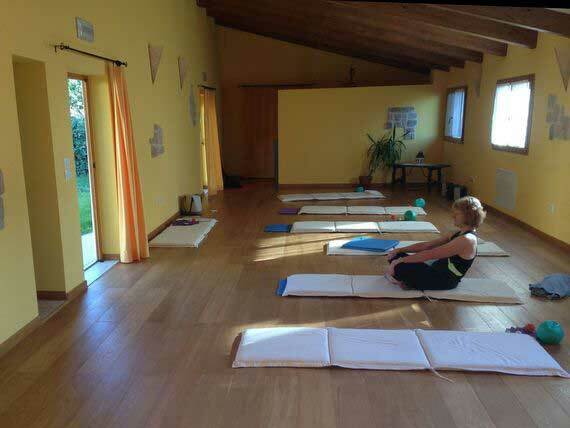 Lots of sunshine, lovely healthy food, very well pitched classes that were challenging but not overwhelming (& left you feeling great), a group of like minded people, all in an amazing setting in the Tuscan hills. Why did you decide to come on a holiday with us? I did quite a lot of research into the options available & felt this holiday offered a good balance of exercise (we had 10 hours during the week, as well as an hour one-to-one), activities (we had 2 cooking classes), trips around the local sights (we went to both Siena & Arezzo), as well as time to relax by the pool. How did you feel when travelling on your own? Quite honestly I didn’t even think about it because the only time you’re on your own is on the flight – the holiday is all organised from the moment we were picked up in Pisa. There was also a nice balance between scheduled activities & time to relax. The other thing is that everyone is there for the same reason and so on both holidays we had really lovely groups of people. There was no pressure to socialise in the free time but equally there was always someone around, if you wanted to chat. The Pilates teachers were also very helpful & available if you had any specific queries about anything. How did you feel during your holiday? Very relaxed – wish I could have stayed a second week!! I actually delayed my flight home by a few days to go into Florence which was a nice contrast & very easily arranged with the Flavours office. What was your favourite aspect of the holiday? On both occasions, doing Pilates in the most beautiful setting – the first trip we did it outside under a beautiful wisteria canopy, the second time we were in a lovely wooden floored studio. Both settings were lovely & it was so peaceful & quiet. No excuses for not hearing the teacher! Absolutely – I’ve already done it all again!! Finally, what is your advice for other guests considering travelling alone? I would honestly say try it! A week is a very short length of time if you are apprehensive & will fly by. Equally, it is sufficient time for you to really make good progress with the Pilates. The first class was a good basic refresh for those who have done it before or an excellent introduction for total beginners… Before you know it (I don’t know how they managed it! ), the teacher has everyone doing the same exercises & you just feel great by the end of the week. Thank you to Catherine, it is always great to hear from our guests! 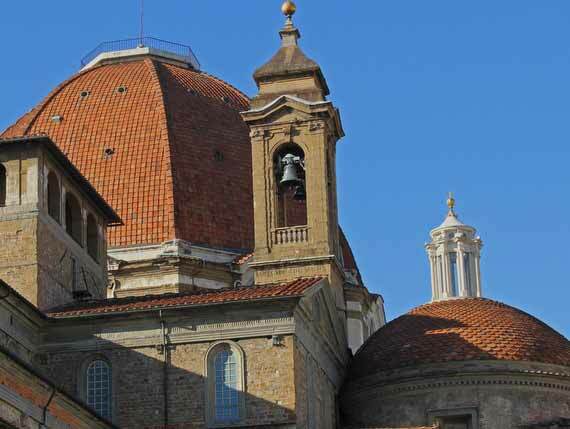 Has Catherine inspired you to join us in Italy this year? We have fantastic Pilates holidays to Tuscany, Sicily, Puglia and Amalfi, find out more here. Or, to speak to a member of our experienced team today click here!